Work out in the comfort of your home with this bike that features a fully adjustable seat and handlebars. 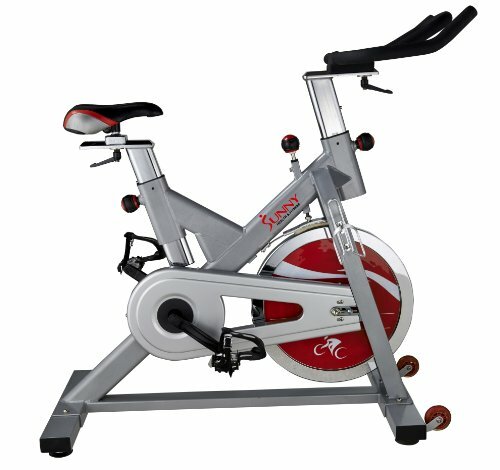 Heavy duty 44 lb flywheel and chain drive mechanism for smooth and quiet workouts. Also equipped with a heavy duty crank and steel frame to make the bike sturdy and stable. Has an adjustable resistance knob; and transportation wheels for easy portability. Weight limit: 250 LBS.